This book includes the professional papers that the members of MCT PREMIUM Honours team 2013/2014 have written during the program. Each team member completed an individual professional tax paper. The topics of these individual papers cover a broad range of issues from international commercial tax to transfer pricing, and from VAT to the FTT and the application of the equality principle to the Dutch business succession rules. 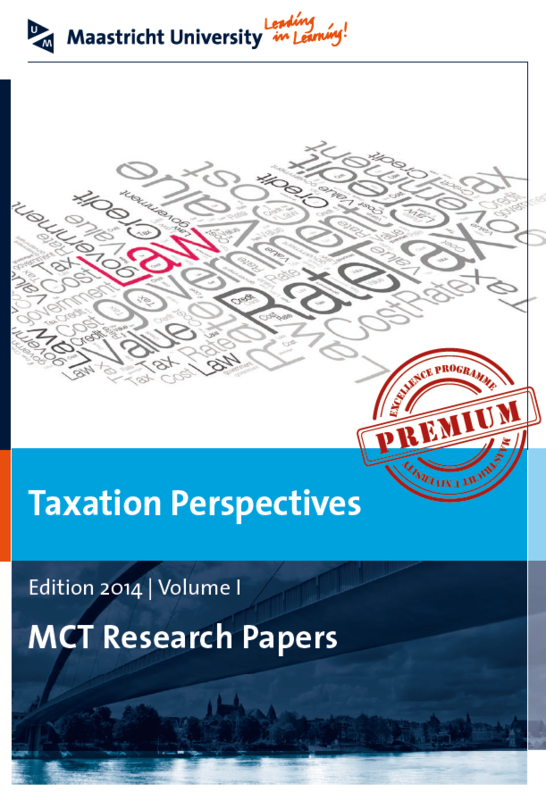 This wide spectrum of tax issues shows the candidates’ broad professional orientation on taxation and their ability to translate the theory of law to its effects in real life. The team also wrote reports in subteams on the three tax seminars that they attended. Jointly, they wrote a professional conference report on the first Global Tax Policy Conference held at the Royal Academy of Sciences in Amsterdam on 6 March 2014. The results of their work show the broad scope and deep understanding of professional tax matters of these talented young tax experts. The Implementation of the “Authorized OECD Approach” under German Law and its Relation to Already Existing Double Tax Conventions – Can the “Authorized OECD Approach” be Applied Retrospectively? Hoge Raad vs. A-G IJzerman: Is de Bedrijfsopvolgingsregeling in de Successiewet 1956 in Strijd met het Gelijkheidsbeginsel?